There are so many reasons to choose Bali for your next romantic getaway. With its beautiful beaches, ancient temples, exotic jungles, luxury resorts and fine dining, Bali will seduce you with its charms. There is something for everyone in Bali. But for couples, Bali is truly special. Bali has it all: world-class restaurants, pristine beaches and unforgettable sunsets. 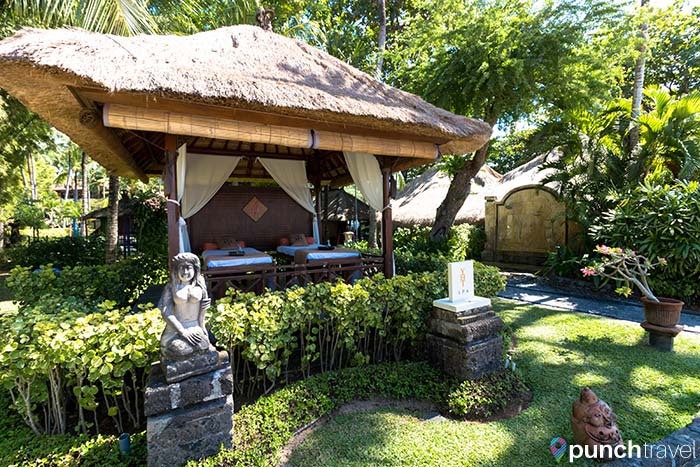 The range of accommodations in Bali is impressive, with everything from beach bungalows and jungle homestays to five-star resorts and luxury villas. 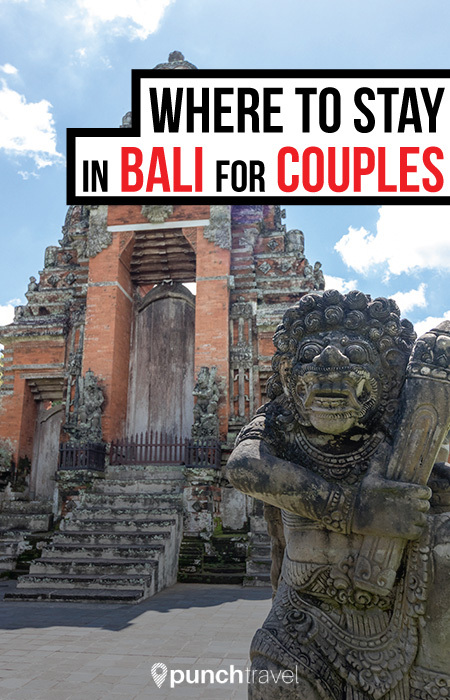 It’s no surprise that Bali is such a popular destination for couples. Whether you are visiting Bali for a wedding, honeymoon or romantic getaway, Bali offers a memorable experience that will suit any couple’s style. Bali’s tourism boom began with Kuta and the area is now bursting with hotels, restaurants and shopping malls. During the day, cool off with some shopping at one of the many malls. Discovery Mall, Kuta Square Mall, and Beachwalk Mall carry a mix of brands including Zara, Victoria’s Secret, and Fossil. Kuta Beach is a popular beginner surfing spot. Surf schools vie for beach real estate with chair rentals and pop-up bars. Many of the bars are no more than someone with a cooler and a couple of plastic chairs but don’t hesitate to settle in with a beer and enjoy the sunset. If you are looking to continue the party, Kuta is the place to be. 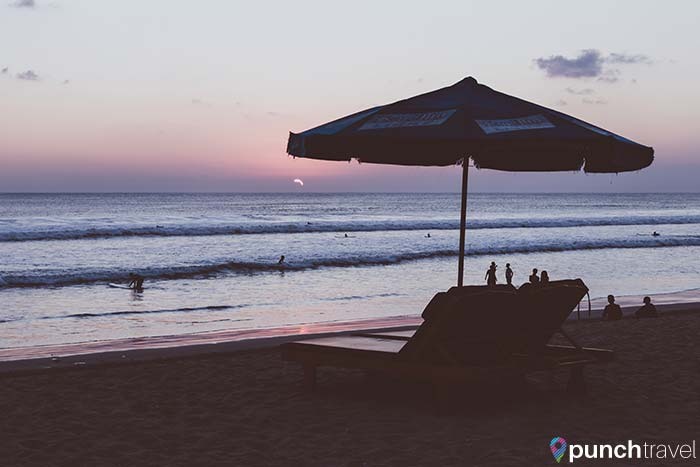 With several nightclubs that rage on into the wee hours, couples who like to go out will have no shortage of options in Kuta. The main street is filled with bars like Paddy’s Pub and Eikon Bar & Club. Bintang beer promoters and cocktail waitresses walk the streets beckoning pedestrians into the smoky nightclubs. You’ll find all kinds of establishments here including trendy cocktail bars, sports bars, drag bars and everything in between. Situated between Kuta and Seminyak, Legian is the perfect neighborhood for couples who are looking to have a good time, but also know when to call it a night. You’ll find lots of mid-range restaurants and bars mixed in with traditional warungs. Try the seared tuna with poached egg at Fat Bowl, a hip restaurant that could easily have been transplanted from Brooklyn. Grab a drink at the rooftop of the Azul Beach Club Bali. The tiki bar is made entirely of bamboo and overlooks the Indian Ocean. North of Kuta and Legian you’ll find Seminyak. Slightly more expensive than Legian, Seminyak is known for its upscale restaurants and plethora of shopping options. Unlike the mega malls in Kuta, the streets of Seminyak are filled with boutique clothing stores, artisan jewelry makers, and specialty Balinese home goods stores. If you are looking to buy real Balinese handiwork, this is the place to go. Conversely, if you ever wondered where the Rodeo Drive of Bali is, it is here. Luxury designers like MCM and Polo are next to Starbucks and Revolver Espresso. 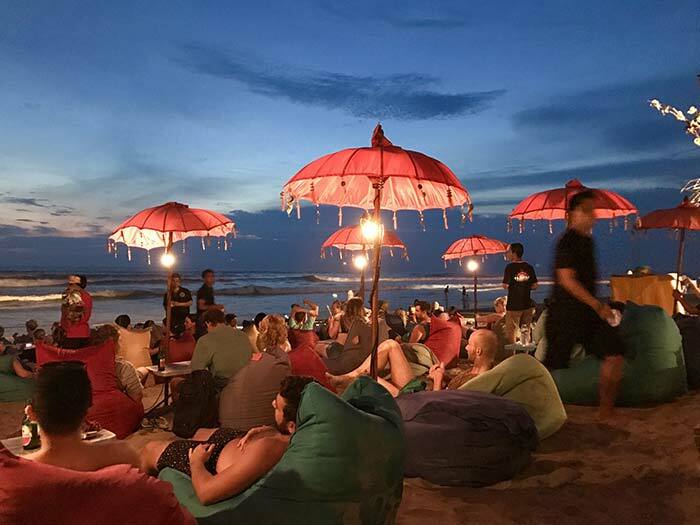 Seminyak also has some of the coolest bars and restaurants, like the fun Motel Mexicola and Ku De Ta, one of the best beachfront restaurants in Bali. 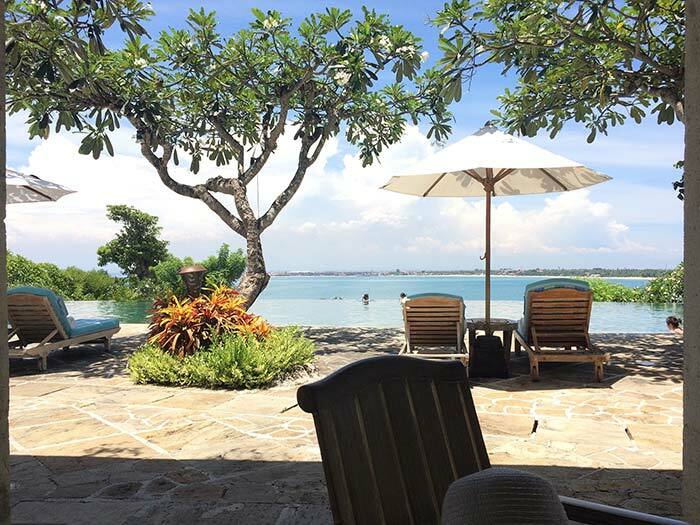 Nusa Dua is on the eastern side of Bali with what some say has the best beaches. 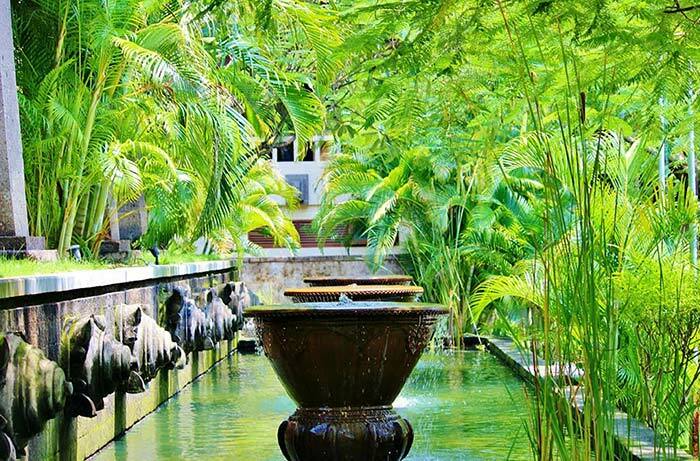 After driving through a security check, you have arrived in Nusa Dua, home to many of the best luxury resorts. Nusa Dua is one giant private community, and each resort is its own all-inclusive piece of paradise. Situated along the waterfront, the resorts operate like a small town with multiple restaurants, swimming pools and an endless amount of activities. If you don’t want to worry about planning your vacation you can easily spend your entire time at the resort rotating around its amenities. Learn how to scuba dive, relax with a beachfront massage, do yoga on the beach or play tennis. 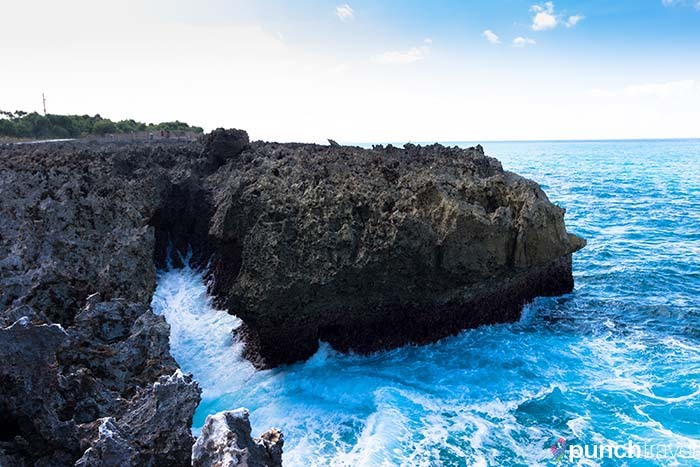 If you want to venture outside of your hotel, you can play golf at the Bali National Golf Club or witness the natural phenomenon known as the Blow Hole. There isn’t much around here in the way of people or restaurants, but what it lacks in activity Jimbaran makes up for in exclusivity. There are only a few resorts here, and the few that are here are very private. The Rock Bar at the Ayana Resort and Spa offers cocktails among a scenic cliff setting. On the weekends, there is a lively seafood market where you can pick out fresh fish and have it cooked up in front of you. 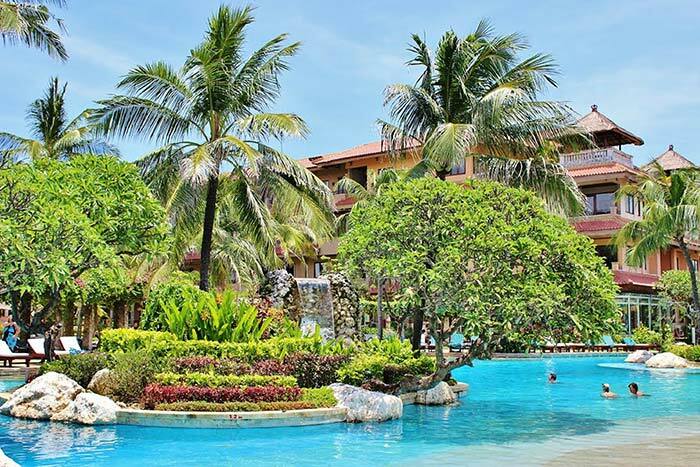 Where to Stay: Four Seasons Resort Bali at Jimbaran Bay, Le Meridien Bali Jimbaran, Ayana Resort and Spa. Nestled among the rice paddy hills in the center of Bali, Ubud is the destination for couples who are looking for a different side of Bali. Ubud’s popularity rose after the movie Eat, Pray, Love in which Julia Roberts goes to Ubud to find love, as the story goes. Although no promises are made as to finding your own Javier Bardem, a visit to Ubud promises that you’ll at least love your body more. Many people go to Ubud for health reasons, to cleanse their mind and soul through clean eating, exercise, and temple visits. Ubud is home to a plethora of vegetarian restaurants plus juice bars and raw food stores. 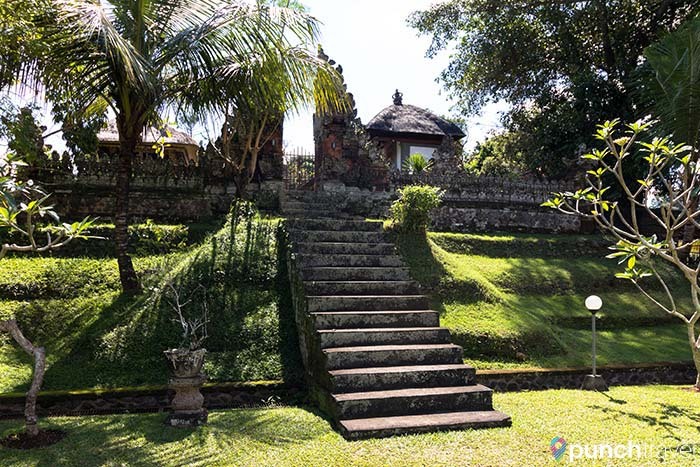 It is also a popular destination for yoga retreats, like the Ashtanga program at the Ubud Yoga Center.